You’re probably already familiar with the concept of chargebacks. If not, be sure to check our blog article explaining what a chargeback is. The concept of a pre-arbitration chargeback, however, is a little less understood. You're probably not as familiar with this process. Chargebacks are a way for consumers to dispute a card transaction. As is the case with all disputes, arbitration is an option. Merchants, consumers and banks have the option to use an arbitrator to settle a dispute that can't be resolved with the traditional chargeback process; the card network will review the facts and issue an outcome. Arbitration is used as a last-resort for card transaction disputes. Before a chargeback progresses to arbitration though, it must first complete several other steps in the dispute process—including pre-arbitration. The term “pre-arbitration” is pretty self-explanatory; it is the phase that is completed immediately preceding arbitration. In most situations, if the issuer skips the pre-arbitration phase and takes the chargeback directly to arbitration, the bank will likely lose the case. There are some situations where the member (cardholder or merchant) can bypass pre-arbitration and proceed directly to arbitration. Pre-arbitration is a term only used by Visa. Mastercard provides a similar process for merchants and cardholders, but simply calls it an arbitration chargeback. First Presentment: The merchant process the original transaction. Second Presentment: The merchant re-presents the transaction, accompanied by supporting evidence that contradicts the cardholder’s claim (a process commonly known as representment). Arbitration Chargeback: The issuer disputes the merchant’s second presentment (representment). The issuer changed the original chargeback reason code. The issuer obtained new information from the cardholder. The documentation provided by the merchant was incomplete, the compelling evidence wasn’t compelling, or the supporting evidence wasn’t appropriate for the reason code. 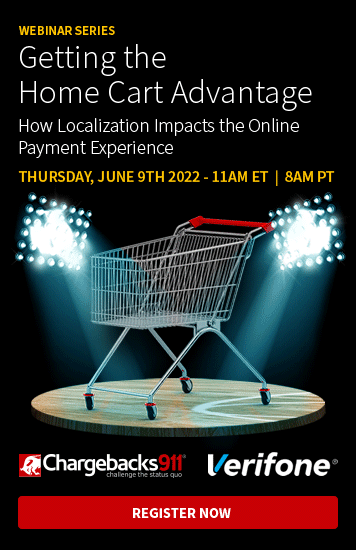 While the merchants, banks and consumers have limited involvement in the final arbitration decision, the chargeback representment and pre-arbitration processes are quite detailed. There are several steps the bank, merchant and consumer must first take before arbitration (or even pre-arbitration) is an option. 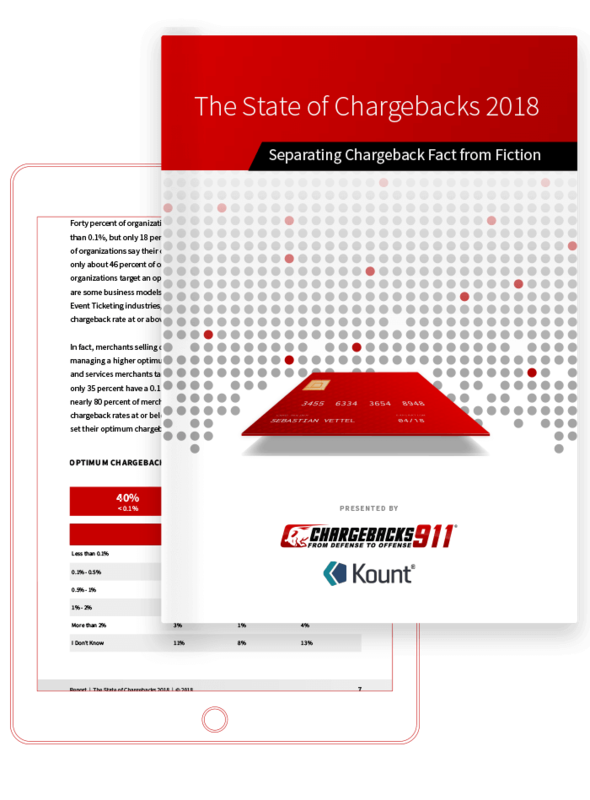 The vast majority of chargebacks are settled with the first representment. Here is how the entire chargeback dispute process lays out, from representment through pre-arbitration to arbitration. A chargeback can be initiated by either the issuing bank or the cardholder. Sometimes, the issuing bank intercepts a charge before the cardholder has a chance to raise the red flag. The bank might detect an anomaly and return the transaction to the acquiring bank for review. When a customer is ready to file a chargeback, the first step is to contact the bank. Usually the request needs to be made in writing, using a Dispute Resolution Form or something similar. This form identifies key information about the original transaction. The bank will review the information provided by the cardholder. If the cardholder doesn’t present a convincing case, the bank suspects fraud, or communication with the merchant wasn't attempted, the bank will not validate the request. Otherwise, the bank processes the information and then transfers the appropriate amount back to the cardholder. Once the chargeback is processed by the issuing bank, funds will be removed from the merchant's account. The merchant will also be charged a fee for processing the chargeback. That is one of the chargeback costs that cannot be refunded, even if the merchant successfully disputes the chargeback. If the merchant feels the chargeback was filed in error or is a case of friendly fraud, the merchant should proceed with representment. However, ensuring representment success demands a lot of time and attention to detail. If your business doesn't have a chargeback specialist on staff to handle these disputes (and your chargeback prevention efforts), let us know. We'd be happy to help you dispute any chargebacks that challenge the profitability and longevity of your business. Once submitted to the issuer (via the acquirer), the representment case will be reviewed. If the issuing bank finds your defence lacking or the cardholder’s claims more convincing, the representment will be denied. At any point during the chargeback or representment process, the bank has the option to enter pre-arbitration. The timing of the case will depend on when the issuer has access to the new information, presented by either the merchant or the consumer. If the results of the pre-arbitration process aren’t well-received by either of the parties involved, arbitration is available. Each network handles arbitration differently. Be sure to check our arbitration blog article for network-specific information regarding filing deadlines, document submission and fines. As you can see, the representment and pre-arbitration chargeback processes are not simple. There is a lot of back and forth communication between the customer and the merchant with the banks acting as middle men to the entire process. It isn’t usually financially advantageous for merchants to take chargebacks all the way through to arbitration. Because extensive resources are needed to be successful, even winning a chargeback arbitration case probably wouldn’t yield an ROI. Because arbitration can be a lengthy and expensive process, it is extremely important that the original representment and pre-arbitration chargeback processes be taken very seriously. They should be handled with the utmost care and attention to detail. Arbitration is expensive and time consuming. Make sure you win the pre-arbitration chargeback! Among other things, The Chargeback Company specialises in chargeback representment. Our attention to detail and personal involvement with each dispute ensures fewer pre-arbitration chargebacks. We do it right the first time! If you would like to learn more about ensuring an ROI for representment or are ready to put The Chargeback Company's services to the test, contact us today.